Looking for something fun and meaningful to do this March Break? 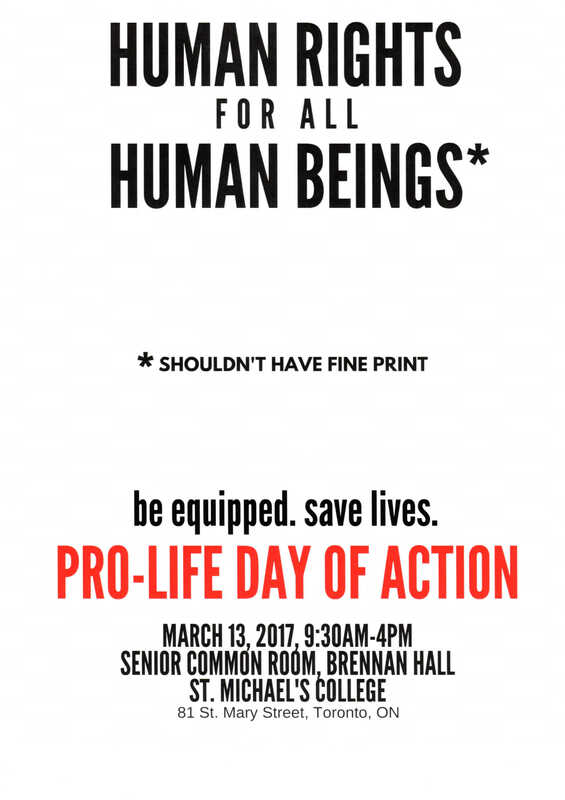 Want to be a confident defender of human rights for all and interested in meeting other high school pro-life students from across the GTA? Then don’t miss this opportunity! Register today. Email us at office@trtl.ca or call us at 416-483-7869 for more info.